Hotel distribution is a competitive marketplace with a vast and complex network of hotel resellers linking accommodation supply and demand. Whereas once upon a time OTAs and hotels lived in happy coexistence, the rise and consolidation of sites like Priceline and Expedia–and the huge commissions of up to 30% they now command–have left hotel chains scrambling. Bigger chains have fought back, with a host of improved loyalty programs and benefits to encourage direct booking. 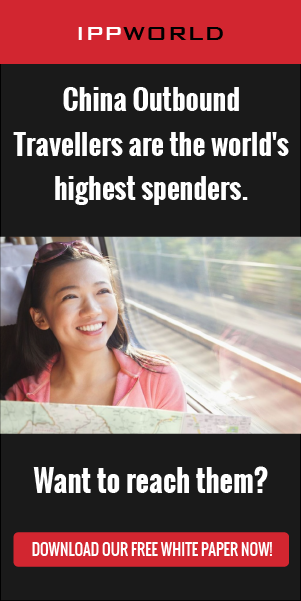 While the effectiveness of these campaigns are debatable, they have definite appeal to travelers looking for the best value. But where does this booking war leave smaller chains and independent hotels without the resources to create and market loyalty programs or run expensive campaigns driving traffic to their websites? What creative tools can they use to stand out in a cutthroat marketplace? The most innovative hotels are turning to 360 technology, which offers multiple advantages: Firstly, it’s use increases time and engagement spent on hotel websites–as guests interact, exploring the look and feel of each room. The ability to understand the “feel” of the space they are booking is also incentive for guests to book directly through the hotel, as opposed to using an OTA. This technology has also gone through great changes. Indeed, over the past few years, consumers have become exposed to 360 virtual tours through products and services like Google Maps, Google Earth and Street View. Due to advances in technology, creating and embedding 360 imagery has also become much cheaper and easier, fitting the marketing budgets of the smaller chains. And the technology has become more accessible–responsive 360 galleries can be viewed through smartphones or PCs, without the need for special glasses or equipment. After all, how many people do you know who own a virtual headset? In addition to the benefits for consumers, the use of 360 increases exposure and rankings on search engines which favor this kind of content. Indeed, search engine optimization (SEO), giving hotels increased visibility, is a major asset of this technology. Now companies such as Ideal Insight create virtual tours for hotels, specifically optimized for Google SEO, while VDroom allows properties to create and distribute a 3D gallery of visual assets with one click–proactively reporting to search engines and increasing direct traffic. Hotels using these services report up to 50% more views than hotels using regular images. Lastly, 360 technologies facilitate up-selling. For example, hotels can offer an upgrade to a client who just booked a standard room by linking to a deluxe room, using 360 imagery to showcase the better room. Virtual tours can showcase specific features, such as lights or fixtures, highlighting what is special and unique within the property. The use of such an interactive gallery has been shown to increase guest conversion rates. In short, in the race to stand out in the hotel booking space, 360 technology is a powerful tool in the marketing arsenal. As the OTAs gain and consolidate their power, hotel chains are using this technology to even the playing field.